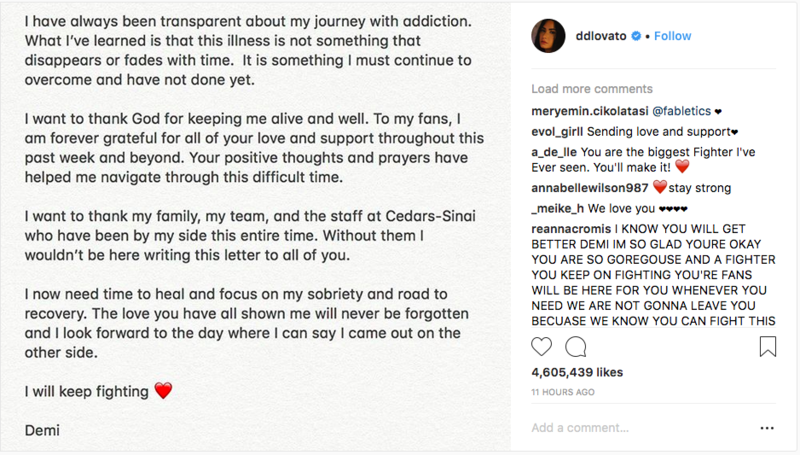 Demi Lovato has spoken for the first time since she was taken to hospital after suffering a suspected overdose. The singer, 25, wrote a message to fans on her Instagram page saying she had learned addiction is “not something that disappears or fades with time” and “it is something I must continue to overcome and have not done yet”. Lovato also thanked staff at the Cedars-Sinai Medical Centre in Los Angeles, where she was taken after falling ill at her home in the Hollywood Hills on 24th July. She added: “I want to thank God for keeping me alive and well. “I now need time to heal and focus on my sobriety and road to recovery. Lovato was a child star and found fame on the TV series Barney & Friends before appearing in the Disney Channel film Camp Rock. 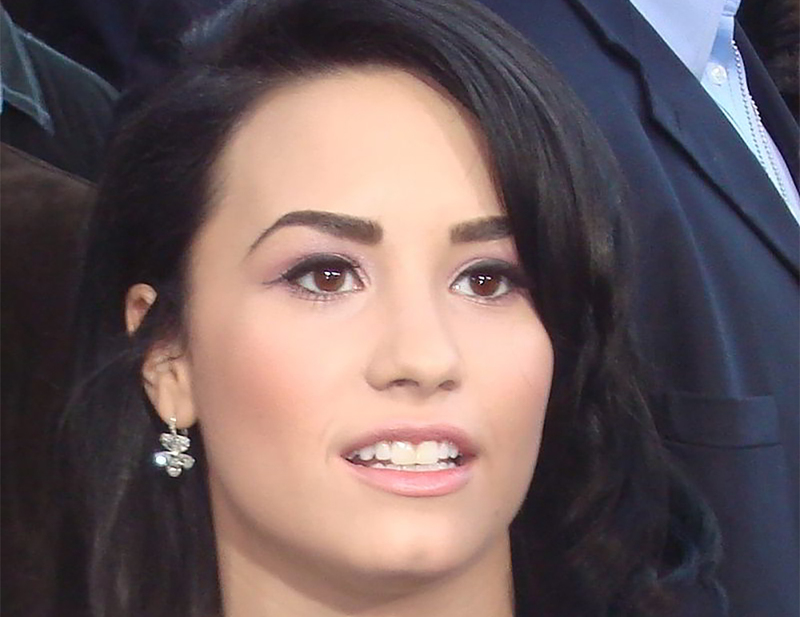 She has since gone on to be a multi-platinum pop star with hits such as Sorry Not Sorry, Skyscraper and Heart Attack.